Audrey Wong, ANCER Co-coordinators, Lassalle College of Arts, Singapore. Ms. Audrey Wong is an adjunct lecturer in Creative Industries programme at LASALLE. Prior to joining LASALLE, Audrey Wong was artistic co-director of The Substation an independent art space from 2000 till early 2010. With co-director Lee Weng Choy, she launched The Substation’s Associate Artists programme in 2003 to support local artists in sustaining their practice. She also curated and organised festivals, exhibitions, conferences and artists’ exchanges. From 1996 to 1999, she worked at The Substation in various capacities, including starting the Moving Images film programme in 1997 – Singapore’s first year-round film programme with a focus on local and regional filmmakers. As an arts manager, Audrey was comfortable working in both visual and performing arts (reflecting The Substation’s interdisciplinary approach), and was particularly interested in nurturing emerging artists, developing platforms for contemporary performance and cross-disciplinary collaboration by independent artists, and audience development for contemporary arts. In 2009, Audrey was nominated by the arts community for a Nominated Member of Parliament post, and was appointed an NMP in Singapore’s parliament in July 2009. 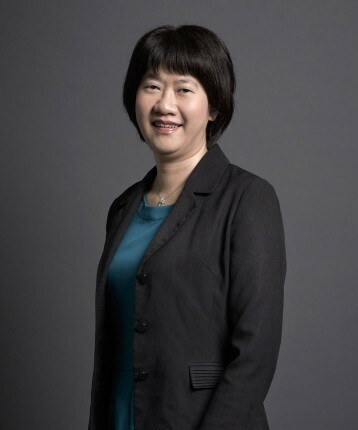 During her term (till May 2011), she championed the cause of freelance artists in the arts and media sectors in Singapore, as they sought to improve their working condition.